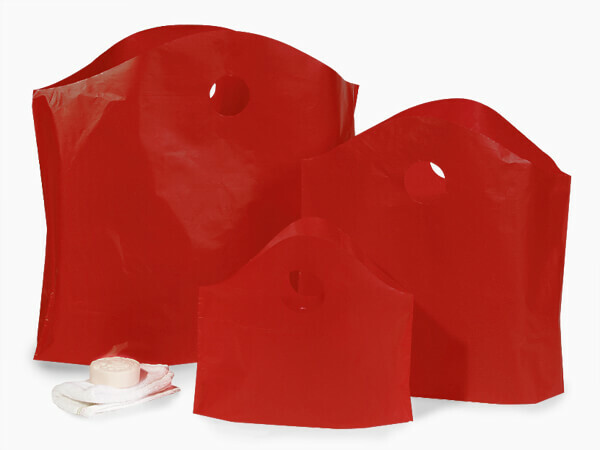 Red Frosted Wave Top Assortment contains 125 bags Total: 50 Small (12x11x4"), 50 Medium (18x15x6") & 25 Large (22x18x8"). Made from recycled HD plastic. Green Way ® Eco-Friendly Packaging. Made in the USA. Hot stamping not available on assortments.